January 1 Theme Day topic is Changes in City Daily Photo land, this one had me baffled. How do you show changes? Since I was already going to change my blog banner.............. I also have changed my email address, its now JimKlenke@TerrellDailyPhoto.com. This is the first Skywatch Friday I have missed in probably over a year. I think I would be stretching it if I posted todays photo over there. 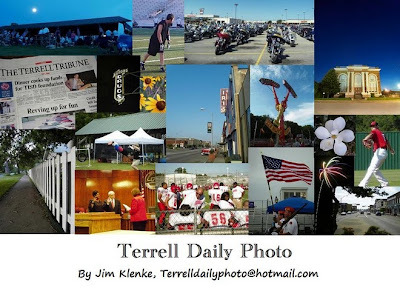 Vote for your favorite Terrell Daily Photo on the right side of the site. The photo with the most votes will be posted on January 15th. I hope everyone had a safe New Years Eve and has a great 2010.